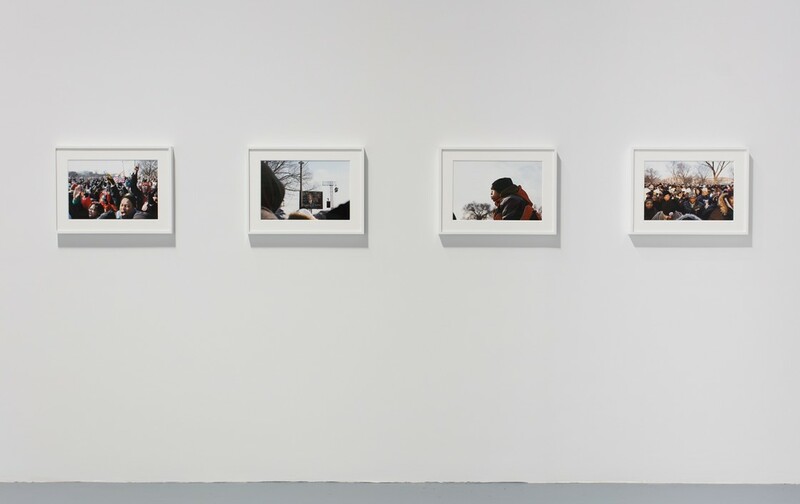 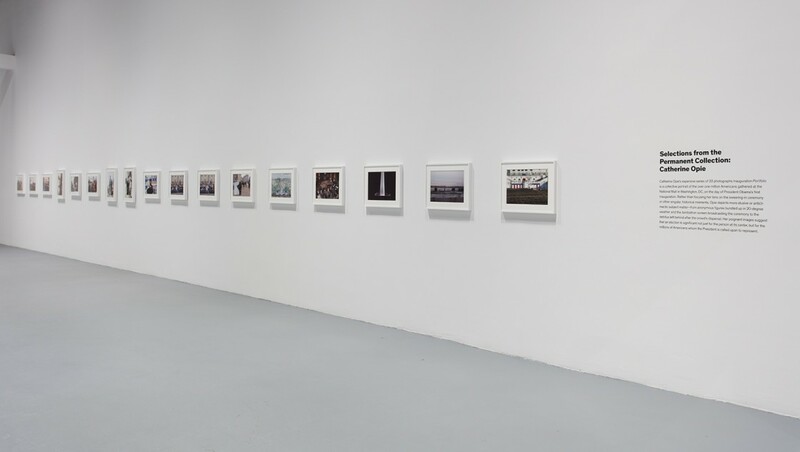 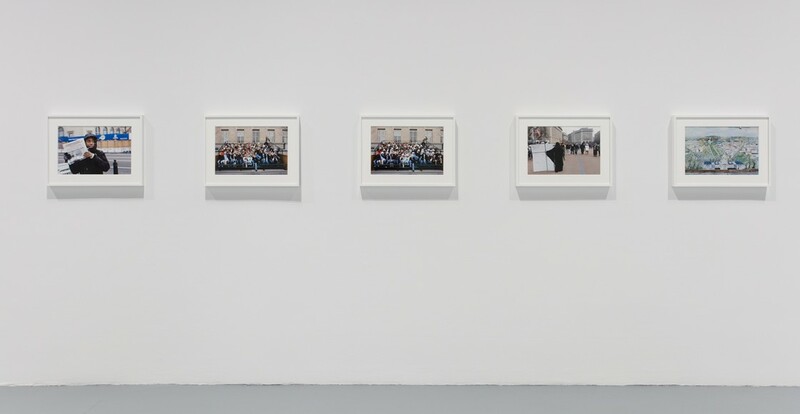 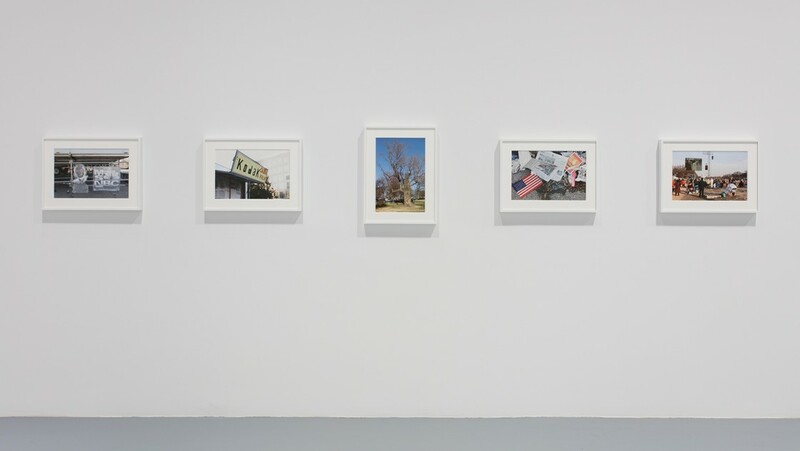 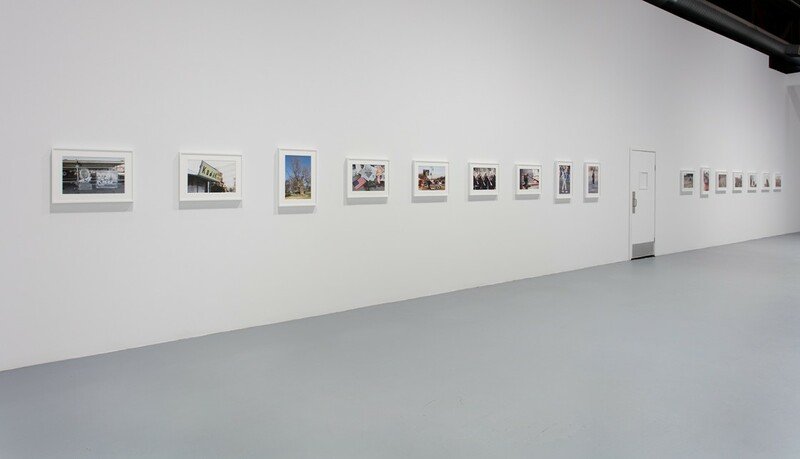 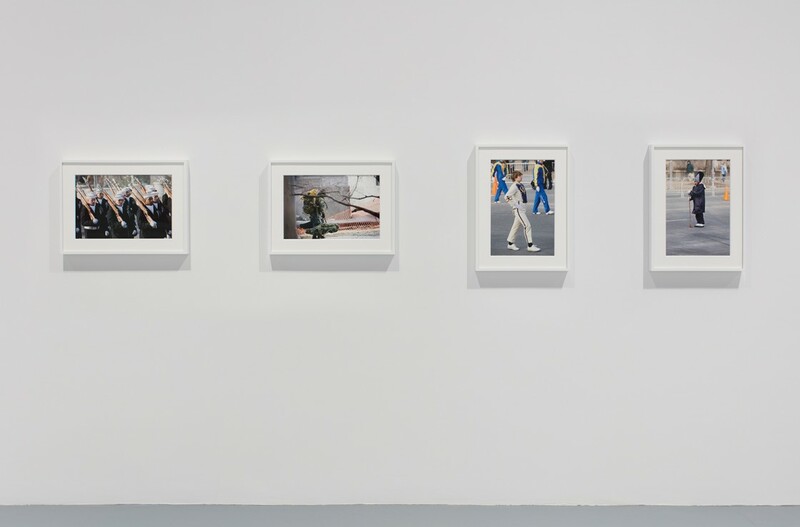 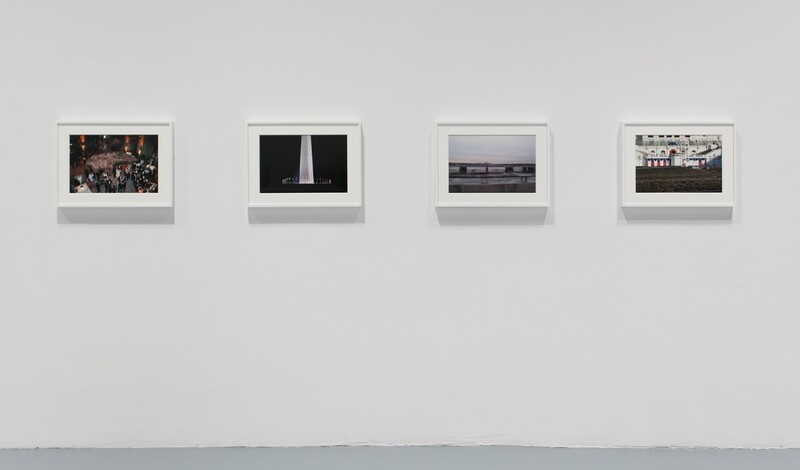 MOCA presents two recent acquisitions to the museum’s permanent collection: SOFT WORK (2011–13) by Sterling Ruby and Inauguration Portfolio (2009) by Catherine Opie. 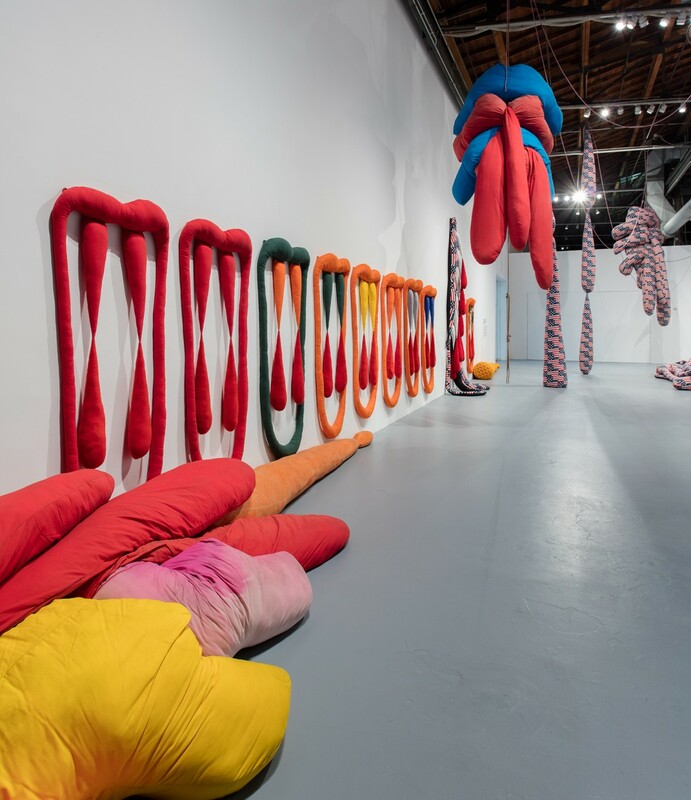 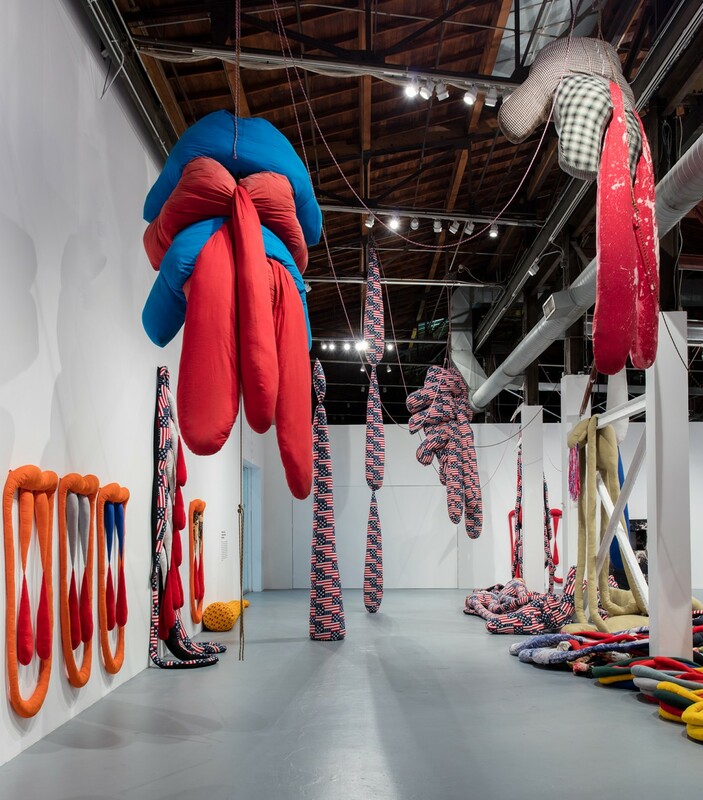 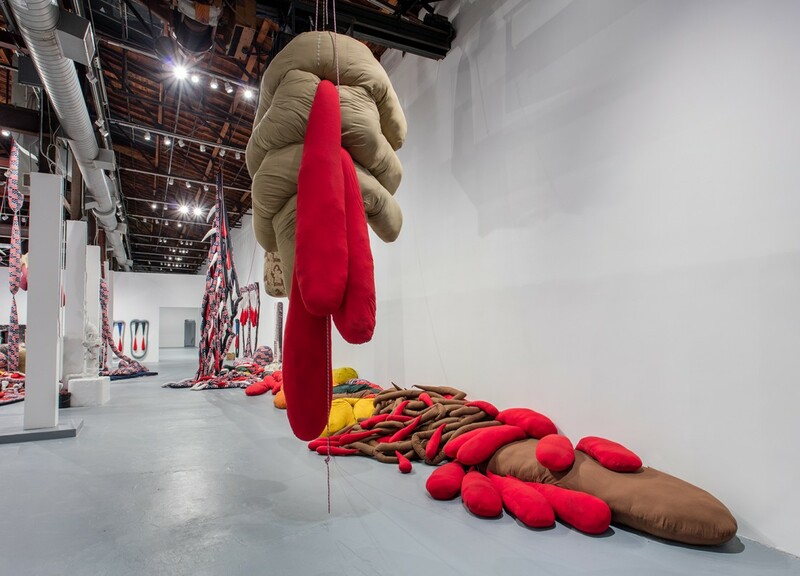 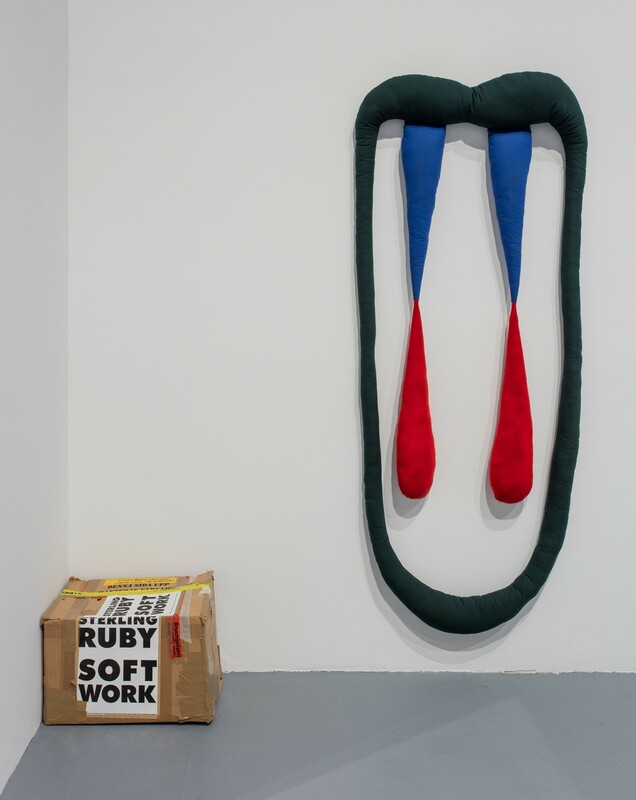 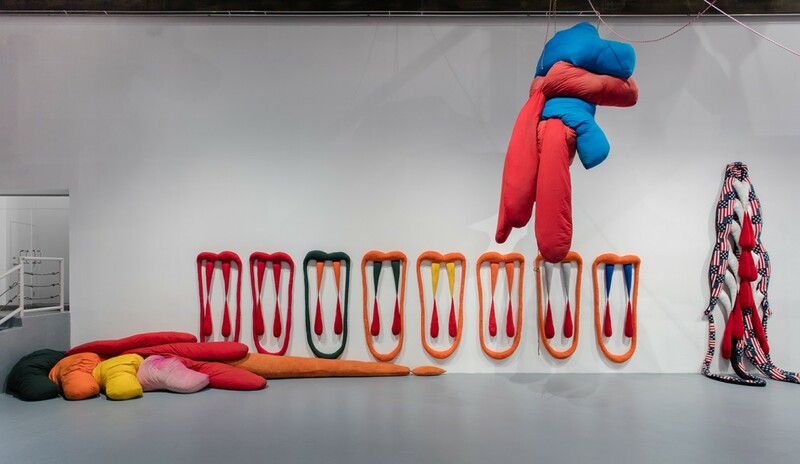 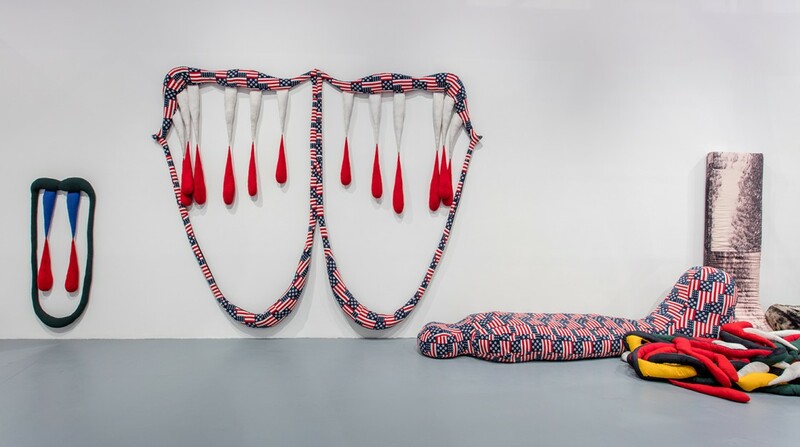 Shown in the United States for the first time, Ruby’s SOFT WORK is a large-scale installation of stuffed fabric sculptures in unsettling biomorphic forms. 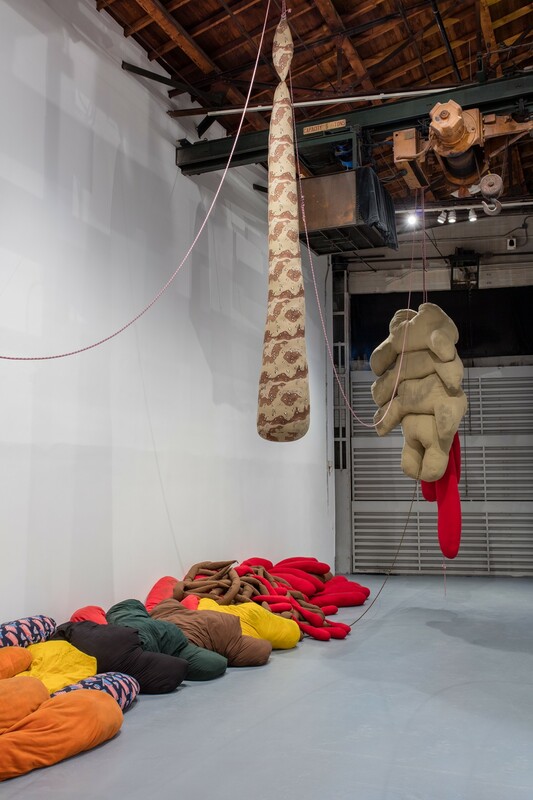 Appendaged cushions and gaping, fang-filled mouths are manically arranged as sausage link–like drips from the ceiling, coiled heaps across the floor, and slumping, abject forms throughout the space. 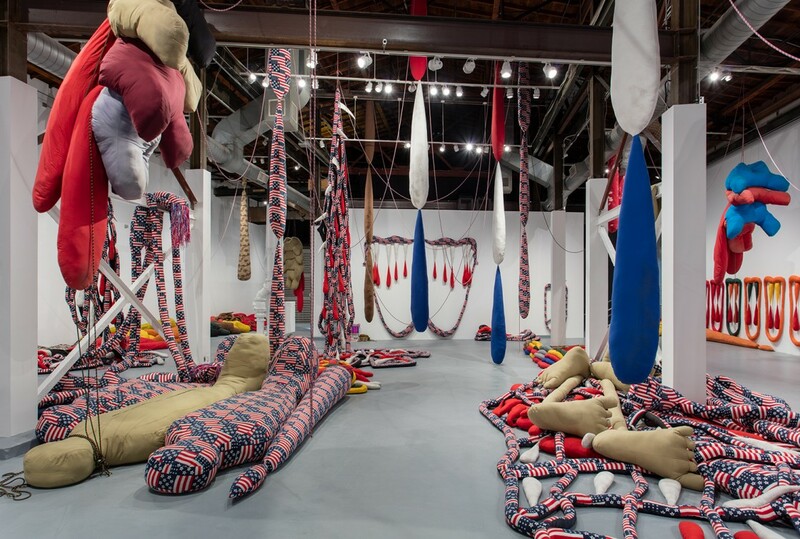 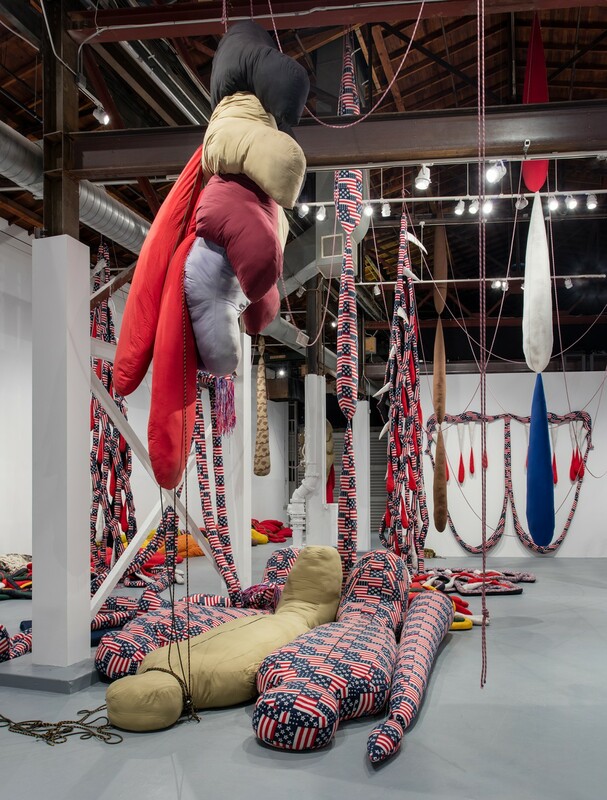 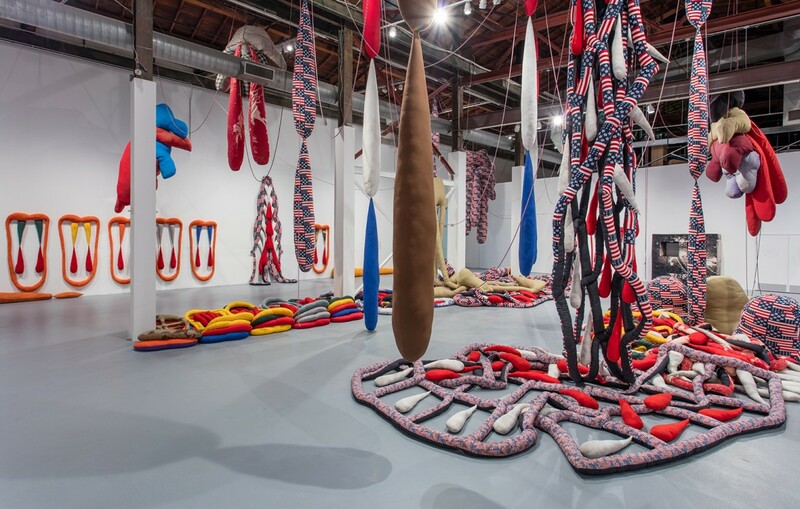 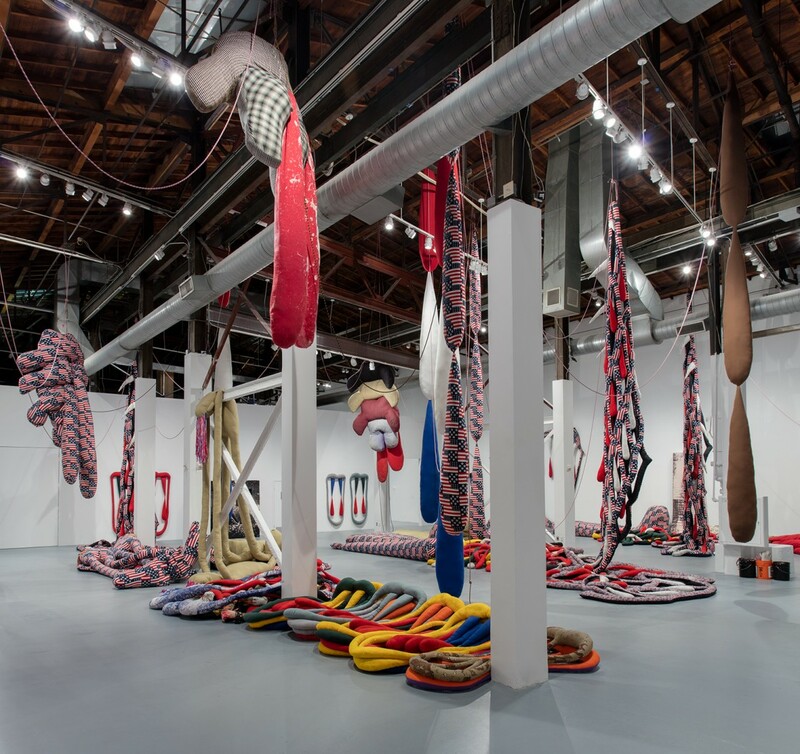 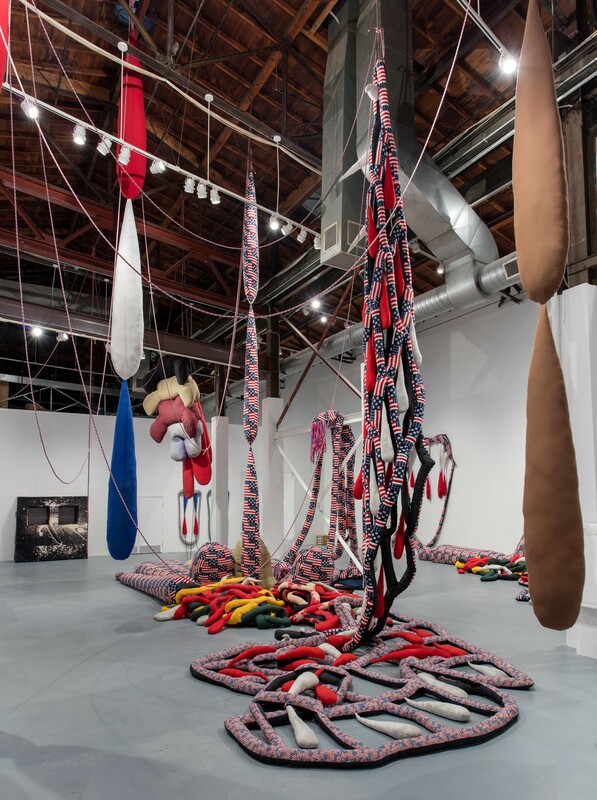 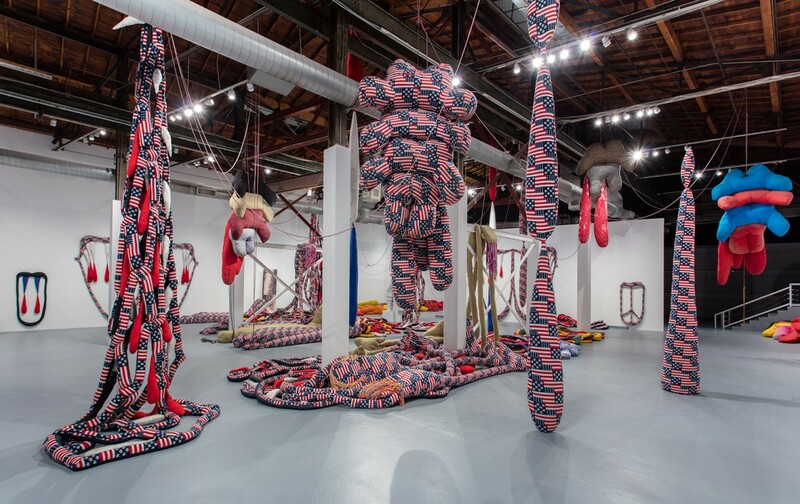 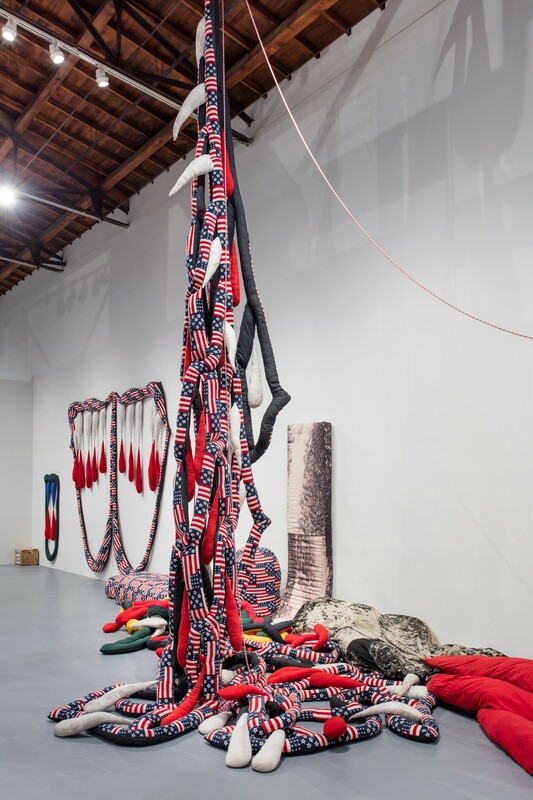 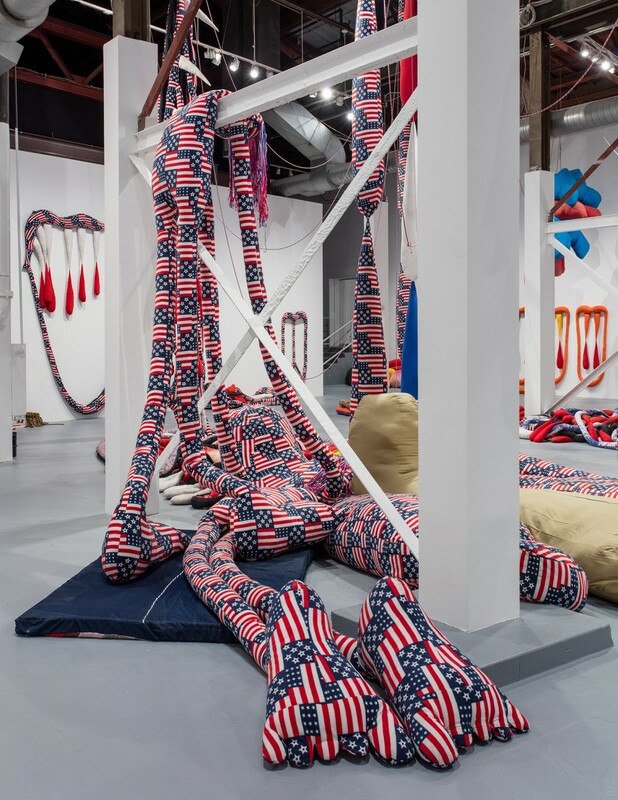 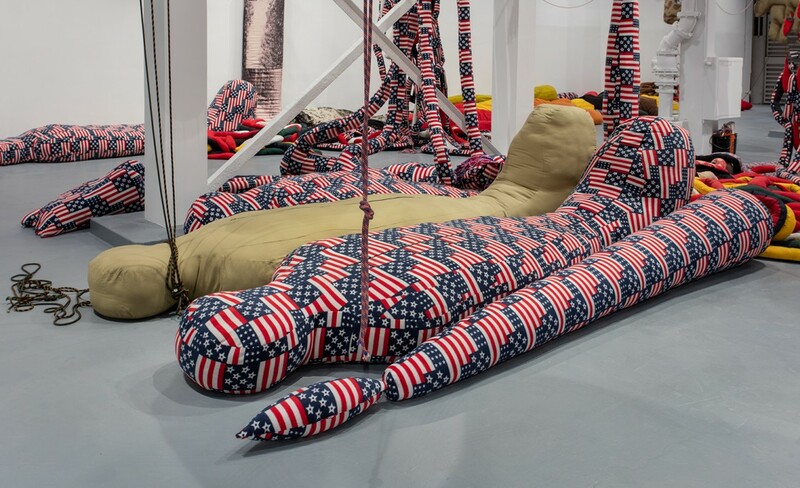 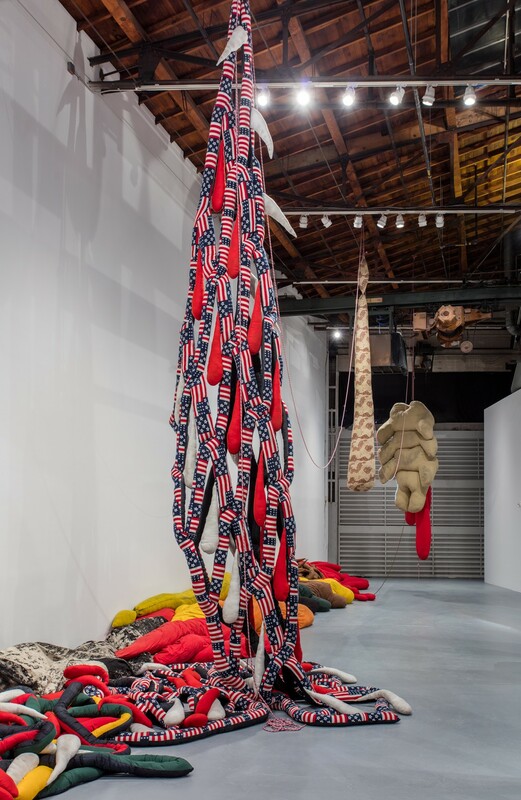 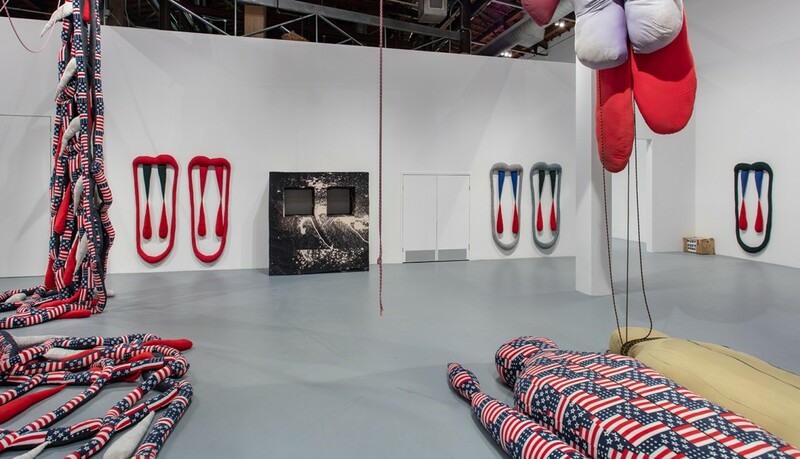 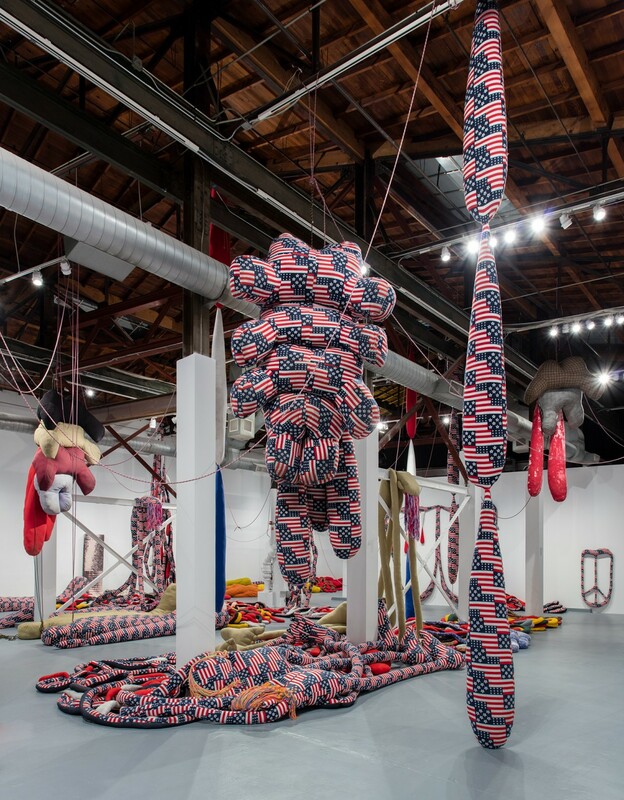 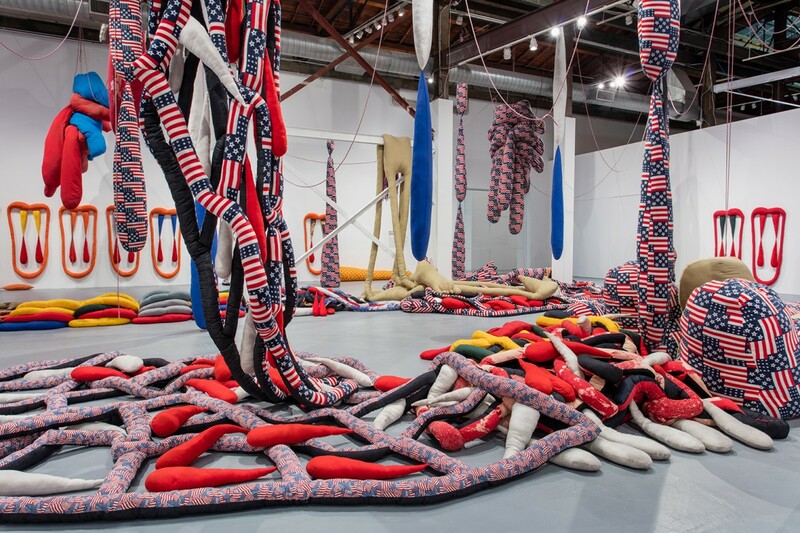 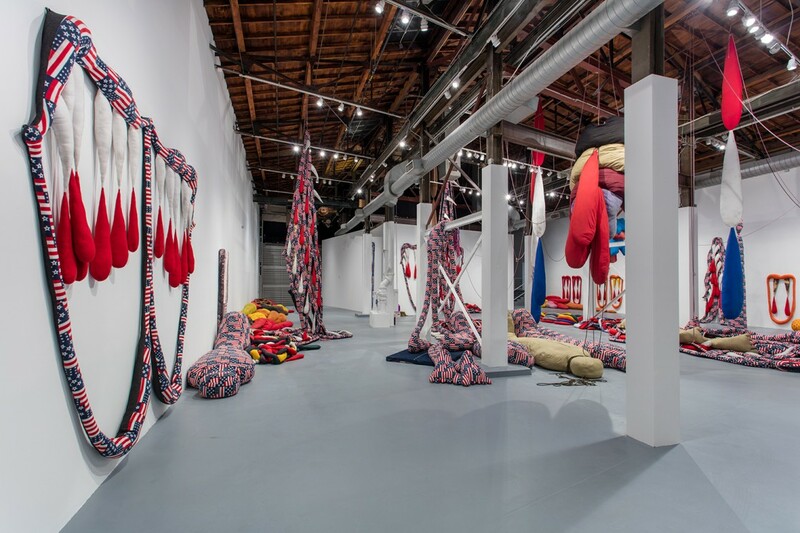 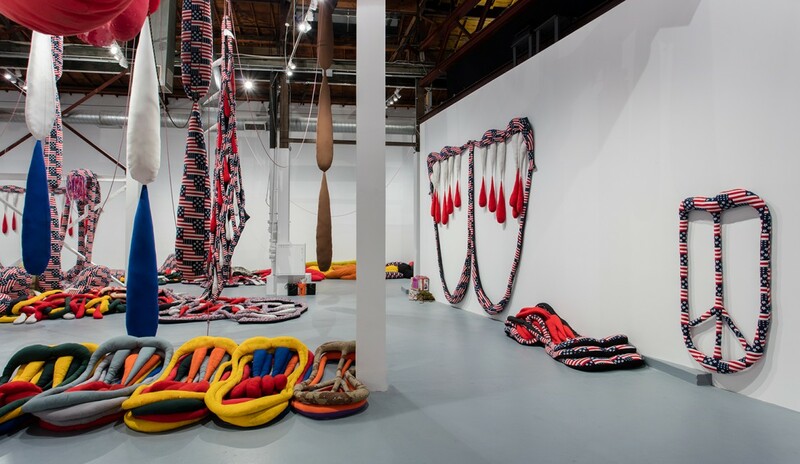 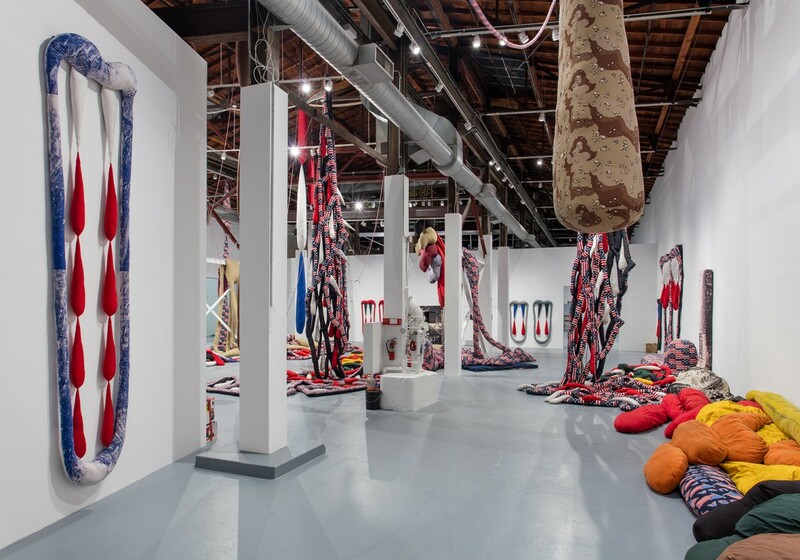 Using textiles that evoke the colors and motifs of the American flag, the sprawling installation offers up that iconic symbol of national pride as an intensely visceral experience—a political scene filled with performative “bodies” that seem to manifest both theater and playground simultaneously. 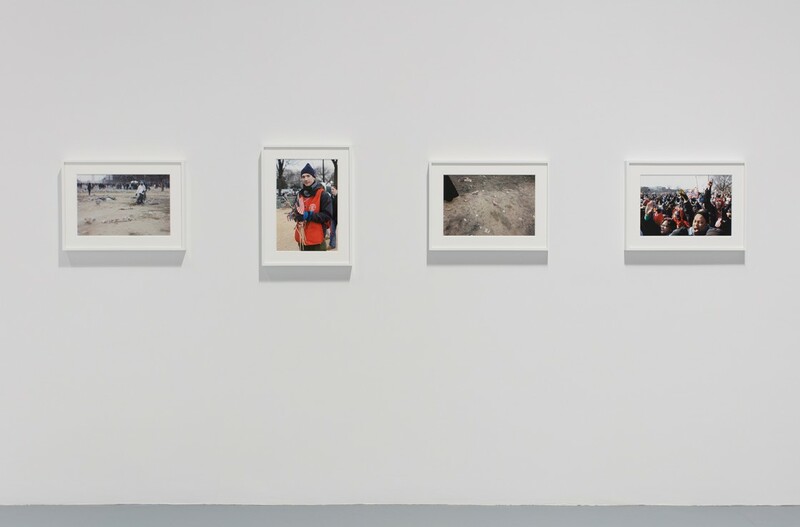 Opie’s 33-photograph Inauguration Portfolio, a collective portrait of the over one million Americans who gathered on the National Mall in Washington, D.C., to partake in the inauguration of President Barack Obama, provides a compelling documentary counterpoint to SOFT WORK. 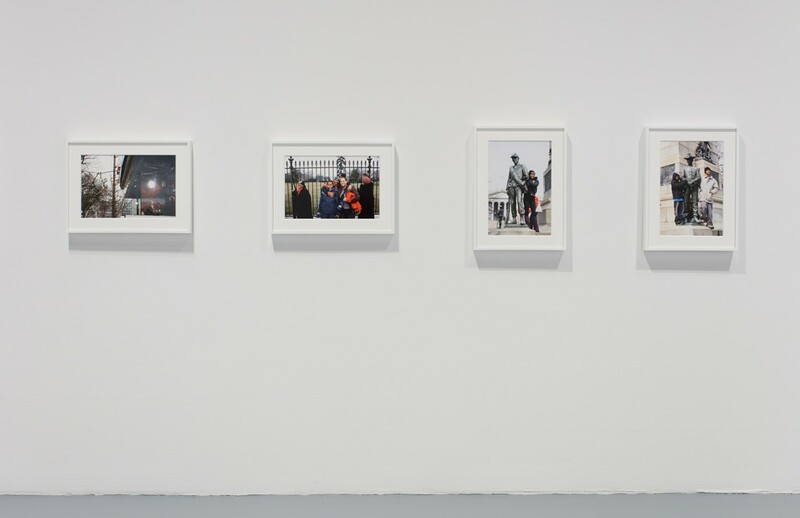 Opie focuses her lens not on the swearing-in ceremony itself or other such singular historical moments but instead on more elusive or anti-climactic subject matter—the anonymous figures bundled up in 20-degree weather, the Jumbotron screen broadcasting the ceremony, and the detritus left behind after the crowd has dispersed. 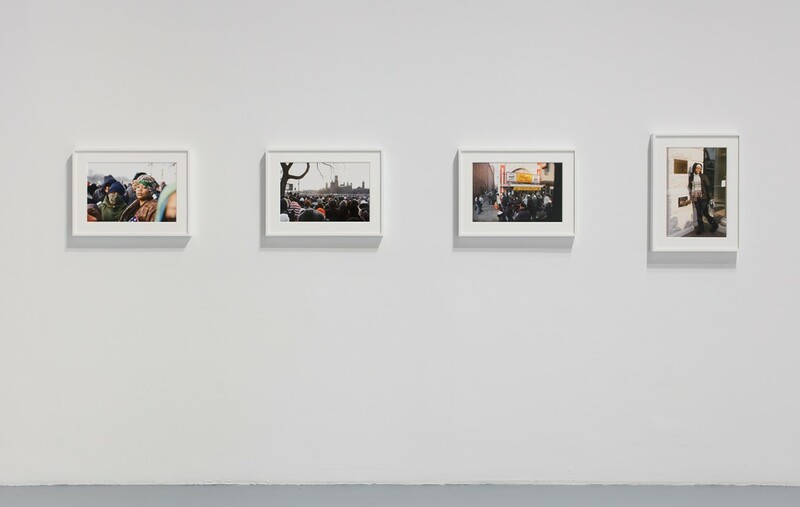 Opie’s poignant photographs suggest that the election is significant not only for the person at its center but for the millions of Americans whom the commander-in-chief is called upon to represent through the democratic process.